A fundamental responsibility for any safety professional is to determine the root causes of an injury. Knowing the root causes should lead to safety improvements by putting preventive measures in place. Injuries are commonly caused by using inappropriate tools, or even using makeshift devices instead of tools. Abraham Maslow in his book The Psychology of Science paraphrased an earlier quote from Abraham Kaplan when he said, “If all you have is a hammer, everything looks like a nail.” This certainly applies to the employee who doesn’t have the right tool, isn’t trained properly, or is put under pressure to simply get the job done. Inevitably these circumstances lead to injury because using a hammer for everything just isn’t the safe way to operate. Commonly we see employees using chairs or upside-down buckets instead of stepladders, pliers instead of wrenches, or lighters instead of flashlights. I’ve even seen an injury that resulted from an employee using a hockey stick to breakdown cardboard boxes. It’s easy for us, or even the supervisor involved in these incidents, to say “what was he thinking?” However, there is a lot more to the story than simply blaming the employee for poor judgment. Ultimately, the individual employee is responsible for following the rules and working safely. This includes using the right tool for the job. But often the employee simply is not given the right tool. The average worker will then use whatever is at hand to get the job done and, in fact, is often applauded for ingenuity. This can only lead to further similar behaviors and ultimately result in an injury. Remember, there are consequences for all behaviors. Some are positive and some are negative. If a worker is given a positive consequence for getting the job done despite the safety concerns it is much more likely that they will repeat the behavior. But make no mistake—using a chair instead of a stepladder will eventually lead to someone falling. That behavior must be stopped by providing the proper tool, in this case a stepladder, and by training all employees how to use it properly. Ensuring your workers use the right tool is vital to safety success. This is done by having a systematic program in place that provides the right tools and the right training to all workers. This applies to all workers in all industries. Even an office worker can be hurt by using a folding metal chair instead of an office chair, by using a scissors as a staple remover, or by connecting too many electrical devices into a receptacle and overloading the circuit. All of these are prevented simply by providing a proper chair, a staple puller, and the proper number of receptacles—all accompanied by the correct training. These situations speak directly to organizational culture. Culture is defined as, “the way we do things here.” Employees are responsible for doing the right thing by following the rules and using all tools properly. Supervisors are responsible for training and supervising, enforcing the rules by stopping unsafe behaviors, and providing the right equipment and tools. Upper management is responsible for providing the funding for those tools and the support the supervisors need to make it all happen safely. It is truly a team effort that will result in a safer workplace and a positive work environment. Tools cost money, there is no doubt. But the investment is well worth the cost when injury rates decrease, associated costs decrease, and morale increases. For more information on proper tool use, check out this resource from OSHA, learn more on ergonomic hand tools from OH&S Online, and policyholders can access the all of MEMIC’s safety tips within the Safety Director. With the early arrival of Old Man Winter’s icy disposition across the Northeast, now is the time to get rock solid on slip and fall prevention. MEMIC’s loss control ski industry expert, Peter Koch, takes a SAFE approach to dealing with these hazards in his Slip and Fall Prevention blog series. You could say his posts are filled with sage advice “comin’ down the mountain” on how to avoid Slip Slidin’ Away. Surface leads the SAFE way with Goodbye Yellow Brick Road coming to mind as a tortuous and, at times, terrifying walking surface for Dorothy and her companions on their way to the Emerald City. Lions and tigers and bears, oh my! Yes, it’s certainly “unusual weather we’re having ain’t it?” as snow begins to coat surfaces changing the frictional characteristics of roads and walkways. Study the surface and test its condition underfoot and Walk Like an Egyptian, well not really, more like a penguin, perhaps even with a Southside Shuffle. Remember to Walk This Way with an adjusted stride, especially on Black Ice. Better yet, steer clear and Go Your Own Way around the perilous patch. With Awareness next along the path, moving at a Helter Skelter pace plainly paves the way for distraction and disaster. When it’s Cold as Ice, focus on The Long and Winding Road ahead of you and be alert to behavioral habits like having your hands full that could suddenly cause you to become Dizzy Miss Lizzy after Free Fallin’ to the frozen pavement. While not quite the same as Staring at the Sun, gazing at your cell phone while walking can cause a blinding effect, much like being Snowblind to your surroundings. Footwear follows next with Sensible Shoes the far better choice over Fashion such as Stiletto heels or Diamonds on the Soles of Her Shoes. But even a sensible shoe, over time, can become “too much walking shoe worn thin.” And though These Boots Are Made for Walkin’, are their treads worn Down to Zero increasing the risk of falling “down to the ground, down to the ground?” If so, then it’s time for a new pair! To maintain grace on slick surfaces, it’s best to have safety on the soles of your shoes by wearing traction enhancing devices or by sporting footwear with the advanced cold weather gripping system, Arctic GripTM. Indeed, selecting the proper footwear can make a big difference on whether you Stand or Fall. Environment rounds out the journey to a SAFE destination with a need to be ever vigilant to a Change in the Weather for The Times They Are a-Changin’. Plan accordingly, as Mark Twain once said, “If you don't like the weather in New England now, just wait a few minutes.” The trek from being Snowbound to “Hey there goes the Snowman…” does take a little longer though, more like 5 long months for those of us with A Northern Soul. Rather than Walk on the Wild Side, such as taking a shortcut over a slippery slope, stay on the designated cleared path to safely do the Walk of Life. 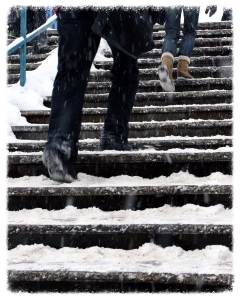 So, make it a point this winter to rock solid on slip and fall prevention! Save yourself from a Catch Me Now I’m Falling moment that can be Bad to the Bone in a fractured sort of way and, at its worst, could Shine a Light on a Stairway to Heaven for you. 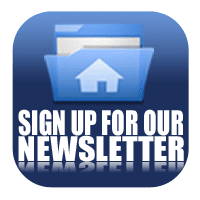 Walk On, rock on, and check out Pete’s series along with other posts on slips, trips, and falls within the MEMIC Safety Net Blog. These are the timeless questions everyone faces when trying to prevent occupational injuries and illnesses. Most of us are not specifically educated in safety management. Quite often safety is added to our list of other responsibilities. There are organizations that perform pretty well with regards to safety programs. What are they doing to achieve a high level of safety performance? Is there a secret? Well, there is no secret; however, most successful organizations that have a high level of safety performance engage in common activities and practices. These common elements or steps have proven effective over time. MEMIC has refined what these successful organizations do and incorporated them into the Seven Steps for a Safer Workplace. MEMIC Safety Management Consultants often work with policyholders who recognize they need to address high losses, improve their safety programs, and enhance corporate cultures. Safety is a manageable part of any organization and significant progress can be made using the fundamentals contained in these seven steps. If you want to evaluate your safety program and begin to improve overall safety culture reviewing the Seven Steps for a Safer Workplace is for you. Draft a company safety policy that formally states your position regarding workplace safety. Define several ways to effectively involve employees in the company’s safety program. Develop a hazard prevention plan. Identify specific safety training needs within your organization. Develop an inspection checklist for your business. Manage a record-keeping system for safety. Develop and implement an injury management program. MEMIC offers more detailed explanations and resources for each of the Seven Steps in MEMIC’s Safety Director. In addition, MEMIC policyholders are welcome to attend our free Seven Steps for a Safer Workplace Webinar on February 27, 2018 at 10:30 a.m. (EST). Each of the steps will be covered in detail so you will learn a truly effective approach to injury prevention. Are your Employees Adding Value to your Safety Culture? In the workplace, the word “safety” can evoke two distinct opinions. Some see safety as the most important aspect of their business, a healthy investment which their company strives to promote throughout the workplace. Others see safety as code for an overburdensome waste of time, money, and effort. For companies struggling with safety culture improvement, here are some ideas for raising safety awareness. Employees may be hesitant to embrace safety if they feel that it does not apply to them. It is important that employees understand that even if they are not working on machines or climbing to dangerous heights, that they are still at risk of injury. Include information and statistics on real life safety topics such as distracted drivers, food safety, fire prevention, ergonomic injuries, slips/trips/falls, and workplace violence. Topics like these will show employees that there are risks involved with every job! Videos of real workplace safety hazards and community safety programs can help get the point across. Encourage employees to include their family members in the safety message. Injuries can affect people at home or at work. A great way to involve employees in your safety culture is by creating a new safety committee, or inviting them to join your existing safety committee. Make sure management allows employees to participate during work time. A safety committee should have representation from all levels of the organization, from management to laborers. This gives employees the opportunity to express any concerns they may have. Post any identified safety issues along with efforts to ensure those issues are addressed. Create a company safety goal for the committee to work toward using a SMART goal format. Rewarding employees for participating or making safety improvements is another good way to improve culture. A fast and simple way to keep safety in the minds of your employees is to include a reminder in their paycheck envelopes, send emails, or broadcast the message over the company PA system. Providing and sharing safety tips, statistics, and real-life stories about other companies like your own are just a few examples of what can be included. Ask your employees for suggestions or ideas on what they would like to learn more about. Provide rewards or make announcements about which employees participate and make suggestions for improvements. Many companies have taken the step to create a safety incentive program within their company. Traditional incentive programs based on a lack of injuries are frowned upon by OSHA since they may unintentionally discourage employees from reporting accidents in fear of having the incentives revoked. However, other programs such as a “Find & Fix” or Safety BINGO that focus on hazard identification and correction, may benefit your safety program. Encourage employees to look for hazards in the workplace and report them to the appropriate personnel to correct the problem! These methods, along with written programs and proper training, will help to make safety in the workplace a habit instead of a hassle. Utilizing MEMIC’s online resources is another great way to provide safety awareness information in an effective and productive manner. "I Feel the Need for Speed"
For the movie buffs out there you’ll recognize this title as a very famous quote from the movie Top Gun. May 16, 2016 marked the 30th anniversary of the release of the Paramount picture. This need seemed to be just perfect for Maverick, but unfortunately I am continually reminded of this quote while driving my car around this country. Why is everyone in such a hurry? Do we really need to drive so fast? According to the Insurance Institute for Highway Safety, speeding was a factor in 28 percent of motor vehicle crash deaths in 2014, and has been a factor in about 30 percent of crash deaths since 2005. Additionally, over half of these deaths took place on roads with speed limits below 55 mph, so this is not an issue reserved for the interstate highway system. Thousands of people die each year because they are driving too fast. This could be from exceeding the posted speed limit, racing, road rage incidents, impaired driving, or simply driving too fast for the prevailing conditions. Regardless, the old phrase, “speed kills” certainly applies. The real shame of it is drivers who speed usually don’t arrive at their destination any earlier anyway. Consider a ten-mile trip comparing a speed of 75mph and 55mph. This is a significant difference in speed, but the arrival time changes by only four minutes. But even that really doesn’t work in the real world; that’s simply the mathematical solution. With traffic volume, school busses, construction zones, stop lights, and merging traffic the math really doesn’t apply directly. The actual time saved will be a fraction of the computed four minutes. The increase in vehicle wear and tear, the decrease in fuel mileage, and the stress involved in rushing just isn’t worth the time gained. For those concerned about speeding and its relationship to fatal accidents, the following table, published by the National Highway Traffic Safety Administration, might be of interest. Clearly younger drivers are much more likely to speed, and males are much more likely to speed than females. No coincidence that the age groups with the highest fatality rates are 16-20 and 21-15, and males are killed in a much higher percentage than females. The lesson from all of this should be that driving faster really doesn’t save very much time, but it sure does lead to traffic accidents and, most unfortunately, fatalities. It raises operating costs and contributes to higher insurance rates. If you are in charge of a fleet program ensure your drivers are following all traffic laws consistently. Don’t set up a system that encourages drivers to speed. Hold them accountable for their actions, invest in monitoring systems, and provide regular safety training. If you’re an individual driver, simply do the right thing. Drive at a safe speed for the conditions and “arrive alive”. For more information about transportation safety, check out the resources from the National Transportation Safety Board, the National Safety Council, or the Safety Director at MEMIC.com. Lawn Machine Safety- Summer’s Coming! Now that warmer weather is approaching, many businesses and private individuals are moving powered lawn equipment out of hibernation. Mowers, leaf blowers, and lawn trimmers start making their appearance at businesses and households everywhere. Reported injury statistics involving lawn mowers is roughly 180,000 per year from people of all ages according to Technology Associates. This injury statistic startlingly includes about 17,000 children. Training and accountability is key to operating these labor saving machines safely. There are vast amounts of materials available to help educate employees on safely operating mowers and other lawn equipment. Start with the operating manuals provided when the equipment was purchased. Include lawn mower safety in your regular safety training schedule. Consider taking a look at who is running the lawn equipment at your business. Are they landscaping professionals, maintenance or facilities staff, or summer seasonal labor? Ask yourself, “Do they really know what they’re doing?” Observe them while keeping care and maintenance, safe handling and operating procedures, and protective equipment in mind. Do you, in fact, know if they are using the equipment properly at any given time? MEMIC will be hosting a live webinar at 10:00am EDT on Thursday, May 12, 2016 entitled Mower, Blower, and Trimmer Safety. This one-hour presentation is free for all MEMIC policy holders; click here to register. For additional information regarding the safe operation of lawn equipment check out the resources available from Kansas State University and the Consumer Product Safety Commission. Spring is here and with that folks are getting outside cleaning up from the winter, hiking, camping, and, yes, working. With the unusually mild winter in the East this year, ticks will be out in force. Ticks thrive in warm wet or humid weather and are moving around already in early April according to a recent Portland Press Herald article outlining a project where ticks were already being gathered for research in Southern sections of Maine. Ticks present a problem because they are small (under 3mm, about the size of sesame seed), can be difficult to detect before they attach, and are carriers of human diseases like Lyme disease. According to the Centers for Disease Control and Prevention, approximately 30,000 cases of Lyme disease are reported to the agency each year, but that’s not the only malady to be concerned with. Roughly 60 cases of Powassan virus disease were reported in the United States over the past 10 years. Powassan virus is transmitted to humans by the blacklegged tick and groundhog tick. The virus gets its name from Powassan, Ontario where the disease was first discovered. In North America, the majority of cases have been identified in the Midwest and Northeast regions during peak tick season from April to September. The symptoms of Powassan infection include fever, severe headache, malaise, vomiting, memory loss, difficulty speaking, and loss of coordination. The virus can infect the central nervous system causing inflammation of the brain (encephalitis) and membrane linings (meningitis). Currently, there is no vaccine available to treat the infection with severe illness requiring hospital treatment including respiratory support, intravenous fluid therapy, and anti-inflammatory medication. With the time frame of transmission of tickborne infection from onset of host attachment generally taking longer than 24 hours, careful and prompt removal is critical, hence the time bomb reference in the blog title. For guidance on proper tick removal click on this Tick Removal link to access the CDC’s instruction page. These diseases can be life altering if not diagnosed and treated in time. Understanding more about ticks and how to protect yourself is crucial. The CDC has put out some good literature about tick borne illness in the United States. Driven to distraction, why do we need another stupid reminder? Sometimes we all do stupid things, especially when we try to do too many things at once. If one of those things involves 4,000 pounds of metal and glass moving at high velocity, a small lapse in judgment can be catastrophic. April is Distracted Driving Awareness Monthand this is Work Zone Awareness Week because when there is road construction and traffic gets worse and time is running out and frustration begins to grow - that is when you need to be extra vigilant. Pretty obvious stuff, right? So why do we take on so much unnecessary risk with such foolish behavior? One answer is complacency. When we do something every day, it is easy to forget the risks involved and start pushing the limits. We don't slow down, we start to rush things, we become distracted, we try to do two or more things at once. Everything seems fine until there is one small change too many. The environment changes and we don't notice, someone else who we assumed was paying attention wasn't, someone sees something we don't and slams on the brakes. Maybe there is plenty of blame to share, but you know you weren't being vigilante. You weren't looking out for yourself and those around you. You had become complacent and distracted. Most of the time, it doesn't matter much when we have such momentary lapses in judgment. But sometimes it really does matter. When we are driving we need to constantly remind ourselves that this is a high risk activity. Click these links to find out more about Distracted Driving Awareness Month and National Work Zone Awareness Week. Policyholders can find more safe driving resources on the MEMIC online Safety Director. Still Plenty of Winter Driving to Go! We're not quite out of the woods yet...there is still plenty of winter driving ahead, especially in the Northeast. So regardless of what the groundhog had to say yesterday, let's make sure we take proper precautions to stay safe in any forthcoming winter driving conditions. Do not use cruise control if roads are icy, could become icy, or there is significant rain or standing water on the roadways. Loss of control could result as the car attempts to maintain the set speed. Slow down in snow / ice conditions! Maintaining vehicle control becomes more difficult as the road conditions deteriorate, and this worsens with increasing speed. Stopping distance becomes much longer as well. Use caution on bridges, overpasses, and highway exit ramps. These surfaces can freeze more quickly or are often not plowed and salted as frequently as the major roads. Avoid making abrupt moves, such as quick braking or acceleration. Track the weather before you leave to know what may be ahead and plan accordingly. Remember the old saying: Ice and Snow, Take it Slow! Lastly, as the snow begins to melt there may be an accumulation of water on the road. This can be just as dangerous as ice as your car can hydroplane. This occurs when water builds up between the tire and the road resulting in momentary control loss. Higher speeds and tread style and wear are the most significant factors. To learn more about hydroplaning, and how to prevent it, take a look at information available from SafeMotorist. For additional safe winter driving tips check out the online resource from the Auto Insurance Center, or previous posts from the Safety Net. I was recently watching an old episode of the Discovery Channel’s “Dirty Jobs”. The episode title was “Safety Third”. I was intrigued. The official network blurb said: "In a thoughtful look back at his most challenging and hazardous apprenticeships, Mike makes a practical case for safety and reaffirms the critical role of individual responsibility in a dangerous world. ... Safety considerations must always be present, but that doesn't mean they will always be first." In the show, Mike goes on to explain, " . . .when you say 'Safety First,' and you say it over and over and over, you create the sense of complacency among your employees, along with the belief that . . . allows them to assume that somebody else cares more about their own well-being than they do. Then you abdicate personal responsibility, and you ultimately send a counter-intuitive message." As a safety professional, I always expect safety to be a priority, but have found that for many people the safety priority is trumped by job completion. Or, in an effort to keep safety first, responsibility falls to a specific person or position. However well intentioned, either can create disparity between the responsible and culpable. So ask yourself, “Where does safety rank at my company?” Is it even in the top three? Is it specific to the current risks, jobs, and worker’s skill sets? Who delivers the message? Is it only coming from who is responsible for safety, or from those who are culpable for the job completion? Is safety something separate and seen as a compliance task, or is it indistinguishable from each and every job? Do your workers demonstrate personal responsibility? Do they balance safety, quality, and productivity, or does one element continually win out over the others? Don’t make safety a “Dirty Job” or a dirty word, but keep it third. Not your third priority, but as one of the three equal parts of the workplace performance triangle - Quality, Productivity, and Safety. Check out Mike Rowe’s website for interesting workplace information. For more injury prevention information from MEMIC look to our website, workshops, webinars, and video lending library. 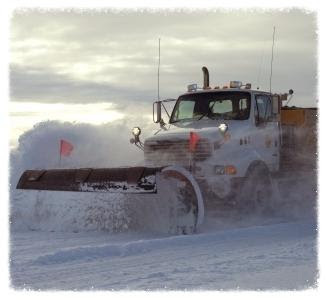 equipment is properly maintained BEFORE winter weather arrives this year! Click here to download a helpful checklist to conduct this season's Snow Clearing Equipment Inspection. great SMS or email weather alert options! Winter weather brings challenges in protecting employees from harm and facilities and assets from loss. Whether you live in the most Northern climates or in Southern regions, no area is free from the hazards that winter can bring. The following suggestions can assist in preventing anyone from getting hurt or having any of your facilities or operations impaired due to a weather-related loss. Getting ready for a storm ahead of time is key to preventing injuries. Employees have come to expect a high level of preparedness, and several websites and apps allow for greater knowledge. Click here to learn more about these great SMS and email weather alert services. Preventing slips and falls needs to be a top priority, as they are a leading cause of injury and death. Even a thin coating of ice or even frozen dew can create a treacherous walking environment. Create a slip and fall prevention plan that discusses responsibilities and actions for all areas of the organization. Have adequate ice melt, salt, and shovels ready and pre-positioned where needed. Monitor walk-off mats to ensure that snow, slush, water, salt and sand are removed as people enter the facilities. Clean mats as necessary with a wet-dry vacuum between professional cleanings. Make sure employees are performing their duties of snow removal, ice melt treatment and sanding as necessary. As heating and electrical systems are called on to work harder, and temporary heaters are utilized, the risk of fires is increased. Proper maintenance and usage are essential to eliminate fire hazards and ensure your facilities are intact. Install kill switches on all mobile equipment and vehicles, and use them to disconnect the battery when they are not in use. This eliminates a major source of fire in the units, because a disconnected battery cannot initiate or "feed" a fire. Ensure that each heating unit is serviced by a qualified technician annually and that necessary repairs are made promptly. This would include not just boiler plants but facility furnaces and garage overhead heating units. Make sure that special emphasis is paid to overheating fuses and monitors. Exercise all breakers to ensure they aren't stuck in the closed position, which could prevent them from activating when a circuit is overloaded - allowing the possibility of literally burning up the wires and igniting the structure. Have electrical systems inspected by a certified electrician to ensure that each circuit is adequately sized and maintained. Systems that are not adequate can lead to failure or a fire. Remove all flammable and combustible materials from mechanical and electrical rooms. Ensure that temporary heaters are plugged into circuits that are certified to be adequate by a qualified electrician to prevent overloading of the electrical system. Make sure to locate all temporary heaters away from flammables and combustibles and monitor them at all times they are in operation. The ice, snow, rain and freezing temperatures of winter all can impact a facility. Inspect all roof drains to ensure they are clear of leaves and debris. Plugged drains can create deep ponding of water on roofs in a short amount of time, leading to collapse or leaking. Make sure that building heat remains above 40 degrees Farenheit to keep pipes and automatic sprinkler systems from freezing and bursting. Monitor the temperature of buildings through the alarm system when they are not occupied to ensure that, should the heating system fail, you can be alerted and respond before damage to piping and systems occurs. Lastly, but highly important, keep your winter maintenance logs and other documentation of your preventative procedures up to date. Even if an injury does occur, good records can go a long way toward showing that reasonable care was taken and may lessen the severity of--or even eliminate--a claim. Click here to download Trident's Before Winter Checklist. Trident Public Risk Solutions provides the above program information in order to reduce the risk of insurance loss and claims. Insureds remain responsible for their own efforts to reduce risks and should consult their own legal counsel for appropriate guidanc. The American Academy of Ophthalmology has designated October as Eye Injury Prevention Month. Did you know that nearly half of all eye injuries occur in and around the home? Workplace eye injuries send 300,000 Americans to the ER each year. These numbers are staggering in the face of a monumental amount of eye and face protection on the market today. A five dollar pair of safety glasses would prevent a huge percentage of eye injuries that occur. While employers are required to provide employees with the appropriate PPE needed for the job, we should do the same for ourselves and loved ones when performing even ordinary tasks at home – once an eye injury has happened all the "should haves" in the world won’t change the end result. Take a little bit of extra time and pre-plan what eye and/or face protection you might need for the task at hand-on and off the job. For additional eye injury and protection information check out resources from OSHA, The Centers for Disease Control, and the U.S. Department of Labor. Who? Who are you? Each company and workplace has a personality, a way that things are done. Understanding your workplace culture is the first step to making change and identifying who your best advocates are. Click here for more info on workplace culture. What? Now that you know what your workplace culture is, it's easy to jump to asking, "What specifically do I want to accomplish?" This requires understanding of a more basic question, "What is wellness?" A workplace that cares about wellness should address mental health and emotional well-being as well as physical health. Yogi Berra said, "Baseball is ninety percent mental and the other half is physical." Yogi could easily have been talking about wellness. Stresses beyond the workplace sphere, be they family or financial, effect our workplace productivity. A good wellness initiative is holistic, addresses the whole person and provides tools which are helpful beyond the workplace. Click here for more info on managing employee stress. Where? You've looked at where stress comes from outside of work, now let's focus on where you work. Each industry has it's own health and safety concerns, as does each workstation. MEMIC policyholders can quickly and easily email a few photos of their workstations for an ergonomicevaluation from one of MEMIC's safety experts. Click here for ergonomic clues any desk jocky can use to improve their workstation. When? The big question everyone wants answered is, "When will I see results?" Even the best programs can't deliver an overnight fix. It takes long-term commitment to change workplace culture and individual behavior. An easier question to answer is, "When is the right time to start?" With healthcare costs continuing to rise, workplaces becoming more sedentary, an aging workforce and adult obesity rates that have doubled in the past 20 years, the time is now. Why? The first four Ws should answer this question, but if that's not enough, consider this: according to a Harvard wellness program study, medical costs fall by about $3.27 for every dollar spent on wellness programs and absenteeism costs fall by about $2.73. A healthy bottom line for businesses means healthy employees. Click here for more workplace wellness program resources. This year the first week in August has been designated the National Stop on Red Week by The National Coalition for Safer Roads (NCSR). This designation is intended to remind every driver to obey the traffic safety rules, especially to be extra cautious when approaching intersections during this week and beyond. When making a right turn on red lights (when allowed) make a full stop and ensure it is safe to continue before completing the turn. When stopped at a red light that has just turned green give it a second or two before proceeding to ensure there are no hazards such as other drivers attempting to beat the red light. When approaching a crosswalk, give the pedestrians the right of way. Don’t pass stopped traffic at a crosswalk; there may be a pedestrian crossing that you cannot see. Pay close attention to the traffic signal in your lane. Remember that other lanes, to your left or right, may have different signals such as turn arrows. Remember to keep the car’s wheels straight when stopped and preparing to make a left turn. If your car is rear ended you don’t want your car pushed into oncoming traffic. If the traffic light is not working properly due to a malfunction, treat this intersection as a 4-way stop sign. Remember, U-turns are often illegal. Even when legal to perform, U-turns pose challenges due to limited visibility, the speed of oncoming traffic, other turning vehicles, and often other drivers are not expecting a vehicle to make a U-turn. So do this carefully and with plenty of space and visibility. The safer alternative would be to perform a legal turn into a side street or parking lot, and then reverse direction from there. Over 30,000 people are killed and millions injured each year in traffic accidents in this country. Take your time, respect all drivers, passengers, pedestrians, motorcycle riders, and cyclists on the road. Let’s make the first week of August the safest week of the year so far. For other driving safety information, check out the National Highway Traffic Safety Administration and the website Top Five Defensive Driving Tips. It’s summertime, and that means hot temperatures. Employees who work outdoors or inside hot environments are at risk for heat stress illnesses. In fact, it’s not surprising to see many production environments that are not air conditioned, and temperatures can quickly reach dangerous levels. That’s why it is important to protect your employees from the “Hazards of the Heat”. Heat-related illnesses often begin with minor symptoms. Heat fatigue is usually the first symptom. Conditions include a decline in performance (particularly physical activity), mental tasks, or tasks requiring concentration. Heat can also increase the risk of other injuries due to sweaty palms losing grip on tools, fogged-up safety glasses limiting visibility, dizziness and balance issues, as well as burns from hot surfaces. Heat Rash is the most common problem resulting from working in heated environments. A heat rash produces blister-like raised bumps on the skin that may itch or be painful to the touch. Treatment includes limiting time in the hot environment, keep the skin dry, and shower promptly after being in the heat. Heat Cramps are painful muscle spasms that occur in the leg, arm, or abdomen. The cramps occur as a result of extended physical activity in a hot environment. Heat cramps are the first sign of dehydration. The worker should rest and drink water and electrolyte liquids like Gatorade. Eat salty crackers to increase salt in-take. DO NOT use salt tablets. Heat Exhaustion is a result of the combination of excessive heat and dehydration. This is a serious condition, which left untreated, can lead to heat stroke. Symptoms include headache, nausea, dizziness &/or fainting, weakness, heavy sweating, thirst, moist-clammy skin, elevated body temperature. Employees in this condition should be moved to a cool, shaded area. Cool the worker with water or cold compresses to the head, neck and face. Drink water and electrolyte liquids like Gatorade. If the worker cannot drink or becomes lethargic, call 911. Make sure someone stays with the worker until help arrives. Heat Stroke is the most serious illness associated with working in heated environments. If left untreated, heat strokes will result in death. Symptoms include hot dry skin (sweating may or may not still be present), red-bluish skin, rapid pulse, confusion, loss of consciousness, seizures/convulsions, very high body temperature. Call 911 immediately. Soak clothing and skin in cool water and use a fan to create air movement. Make sure someone stays with the worker until help arrives. The best way to prevent heat illness is to make the work environment cooler. If the work environment is not air conditioned, then consider installing portable fans and air chillers. If cooling devices are not available and/or temperatures remain excessive, other measures should be taken to minimize the heat related effects. Employees with no prior exposure to hot environments - start out at 20% exposure per day with a 20% increase in exposure each additional day until full day exposure is reached. Employees with recent prior exposure to hot environments- start out at 50% exposure on day 1, 60% exposure on day 2, 80% exposure on day 3, and 100% exposure on day 4. Employees should be provided plenty of water and electrolyte liquids when working in hot environments. On average, workers should be encouraged to drink 1 cup of water (or electrolyte liquid) every 15-20 minutes. The use of salt tablets is not recommended, but a small amount of salt with food is encouraged during hot days to replenish the minerals lost from sweating. Frequent breaks are necessary. Breaks should be provided in areas that are cooler than the work environment. If possible, heavy work should be scheduled during the cooler parts of the day and appropriate protective clothing provided. Consider using shifts and assigning additional workers for work pacing during excessively hot work-shifts. The permissible heat exposure threshold recommended by OSHA will vary depending on the type of work completed and air temperature within the work environment. For more information on specific work/rest restrictions, see the OSHA website. OSHA also provides a mobile device app that can be used to calculate the heat index and includes reminders and protective measures to take based upon the heat index. Many areas of the country have already been experiencing high temperatures this summer. While the media warns us to stay out of the heat, there are many jobs that don't afford that option. Employees should thoroughly discuss their individual risk factors with their healthcare provider and relate the necessary information to their employers. For more educational resources regarding heat illness and prevention tips, please visit the Occupational Safety & Health Administration (OSHA) campaign page. The following tips should be considered when using your current mouse. These tips are frequently provided during ergonomic assessments as location and use are common contributors of aches and pains. Conduct a self assessment and implement these tips as often as possible. Location, Location, Location. Locate the mouse close or in the “mouse zone” – It should be located as close as possible to you and the keyboard, preferably at or near elbow height. Its location should enable the elbow to rest near one’s side. The arm should rest comfortably without outward rotation. The hand should extend from the forearm relatively straight. Priorities around tasks and placement of devices or paperwork may need to be considered. Locating the mouse to one’s non-dominate side is also an option to help keep the mouse close. Movement. Move the mouse using the arm – Shared movement with the shoulder and elbow helps distribute repeated motions across multiple joints, tendons, and muscles. Minimize prolonged or constant arm or wrist support to help free up the arm and stop isolated wrist or finger motions. Consider adjusting the Motion pointer speed commonly located under Mouse Properties / Pointer Options. Grip. Grip the mouse lightly – Partially rest your hand and fingers on the mouse. Avoid pinching it between the thumb and pinky and do not keep the remaining fingers raised off the mouse while navigation, searching, or similar activities. If these tips cannot be implemented, it is possible other devices or changes may be necessary. I don’t wear a deerstalker cap nor do I smoke a pipe. Even though I don’t look like Sherlock Holmes, I am inspired by the fictional detective when I perform ergonomic evaluations in the office setting. Let’s pretend that Sherlock Holmes is evaluating your office environment. When Sherlock meets with people to start the ergonomic evaluation, he not only listens to their description of the problem, but looks for clues. Is the telephone headset dusty? Even though the person claims they use it, Sherlock knows better. Is the chair-mat worn through in one place? This is a clue that the user sits in the chair as they roll around their work area, rather than getting up and out of their chair. Are the arms on the chair dented and ripped? This may indicate the arms on the chair bang into the office desk, preventing the person from pulling in close to the desk. Is the footrest out of reach of the feet? This means they are not using it. Is there a coffee cup or water bottle on the desk? This means they drink plenty of fluids. It also may indicate they get up frequently to refill the cup and to go to the restrooms. Is there a pair of sneakers under the desk? This is a clue that they may take a walk during breaks. This is a good sign. Is their evidence that they eat lunch at their desk? This is a clue that they are spending too much time sitting at the desk looking at a monitor. Is the keyboard placed on top of papers? This may mean they reach over the papers to the keyboard. Perhaps an inline document holder is necessary. Are there sweaters or blankets piled on the back of the chair? Is there a fan in the work area? This may mean that there are uncomfortable temperature variations in the work environment. If there are no curtains or shades, are there miscellaneous papers taped to the windows? Ah ha! Glare may be the problem. Is the printer on the desk? Hmmm, another observation that the person may not get up and out of the chair often enough. Discomfort on the outside of elbow? This may be due to using the mouse outside the “mouse zone”. Discomfort in the neck and shoulders? Poor head posture may be the culprit. Sherlock checks to see if they have a document holder and a telephone headset. These 2 devices greatly help head posture in the office setting. Discomfort between the shoulder blades? This can be a clue that there is excessive reaching during the workday. Is the keyboard and mouse close to the torso? So Sherlock has completed the ergonomic evaluation. His keen observational skills have resulted in recommendations that will greatly improve the comfort and safety of the workstation. He puts away his magnifying glass, dons his cape coat and moves on to the next mystery! If you have an ergonomic mystery to solve, check out our e-Ergo resources within the MEMIC Safety Director. A special nod to Sir Arthur Conan Doyle’s book , The Adventures of Sherlock Holmes. It comes on suddenly with a raw scratchy throat, a mild to severe headache, fatigue, and a runny nose. You suspect you’re coming down with a cold but soon a fever develops and your body is racked by chills and miserable aching. You’ve been hit by the flu! The Centers for Disease Control (CDC) reports widespread influenza activity in just about all of the continental United States as of January 10th with the flu season peaking in February and extending into May. While most people recover from the flu in 3 days to 2 weeks, some people will develop complications that can be life-threatening. The severity of the flu largely depends on the strain of influenza virus and the ability of the person’s immune system to mount an effective response. In the context of the flu’s affect on business, the National Business Group on Health reports the seasonal flu costs businesses approximately $10.4 billion in direct costs for hospitalizations and outpatient visits for adults each year. The flu is responsible for 200 million days of diminished productivity, 100 million days of bed disability and 75 million days of work absence. Given the serious personal and financial impact of the flu as a contagious disease, the CDC urges people to take the following action on fighting the flu. First and foremost, get an annual flu shot. While this season’s flu vaccine doesn’t quite match the current strains of circulating influenza, the vaccine can still help to limit the severity of symptoms. Practice good cough and sneeze etiquette by covering your mouth and nose using a tissue or upper shirt sleeve. Wash your hands often with soap and water or alcohol-based hand sanitizer. Avoid touching your face, nose, eyes, and mouth as mucous membranes are a site of entry. Regularly clean and disinfect touch surfaces (fomites) including cell phones, touch pads, and tablets. Limit contact with others when having flu-like symptoms and avoid close contact with sick people. If sick with the flu, stay home for at least 24 hours after your fever is gone unless you need medical care. For more information, check out the CDC’s Everyday Preventive Actions.